The greatest benefit of selling on Amazon is the wonderful opportunity to use FBA (Fulfillment by Amazon), which Amazon provides to all third-party retailers. Nowadays practically everyone can use the Amazon fulfillment network – one of the most advanced in the world. You can just send all the inventory to Amazon’s warehouses and let Amazon pick, pack and ship your orders. They even provide customer service for your products. Without any doubt such an approach is simple, cost-effective and can help eliminate your fulfillment headaches. However, there is one important decision a seller must make before sending goods to FBA – to commingle or not to commingle. Commingling is storing and selling standardized items without labeling them. Amazon commingling fulfillment implies mixing products with the same manufacturer ID from Amazon itself, various third-party sellers, and from brands directly. This means that it’s impossible to tell one seller’s products from another seller’s products with the same UPC codes. When you choose to commingle inventory, your products become interchangeable with the same products from other sellers for both order fulfillment and removals. In practice it works like this: when someone purchases an item, Amazon will likely to send it from the fulfillment center that is closest to the customer’s shipping address. 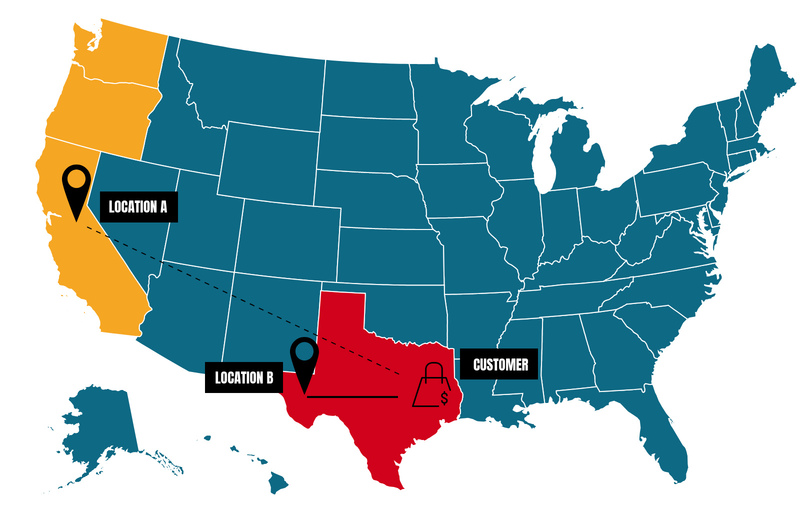 For example, your items are stored in Location A somewhere on the West Coast, and a customer from Texas orders from you. In this case Amazon will likely fulfill from another seller’s inventory from Location B somewhere in Texas so that the customer gets the item as soon as possible. Let’s have a look at pros and cons of the commingled inventory option. PROS: First of all, many sellers take advantage of the commingled inventory FBA option due to the simple fact that it reduces cost and labor needed for additional labeling and fulfillment operations. Sellers can save significant amounts of time without having to mark each item with special FBA stickers. Amazon is expanding its reach across the US and now has 140 warehouses built or planned. Most of these warehouses handle the FBA program, which means that a myriad of items are shipped daily to customers. As a fulfillment option, commingling saves time and money for sellers who choose to use FBA. Both sellers and customers can benefit from commingled inventory, as it ensures quick delivery to customers all over the nation. One more reason to use the FBA commingled inventory option is the simple fact that Amazon shoppers trust Amazon. Actually, they initially trust Amazon more than any other seller and are more likely to buy from FBA. Statistics say that more than 95% of customers trust Amazon Marketplace for the reliability of shipping. To sum up, commingling is used to enhance fulfillment efficiency by increasing purchase volume and sales and decreasing shipping time. CONS: Commingled inventory is always a win-win option for both Amazon and customers, however on the seller’s side the grass in not that green. In fact, commingling deprives sellers of control over their inventory. In practice, having chosen the commingled inventory option, the third-party-sellers allow who-knows-what-item to be mixed with their goods. This may lead to unpleasant situations where you know you are selling high quality goods, but there is no guarantee that your customers will get them. Often counterfeit products can get mixed with your quality items. If your customers get counterfeit products, this will lead to numerous product returns and negative reviews. These factors badly impact both the seller’s and product’s ratings. Sellers are also at risk of getting flagged for counterfeiting. 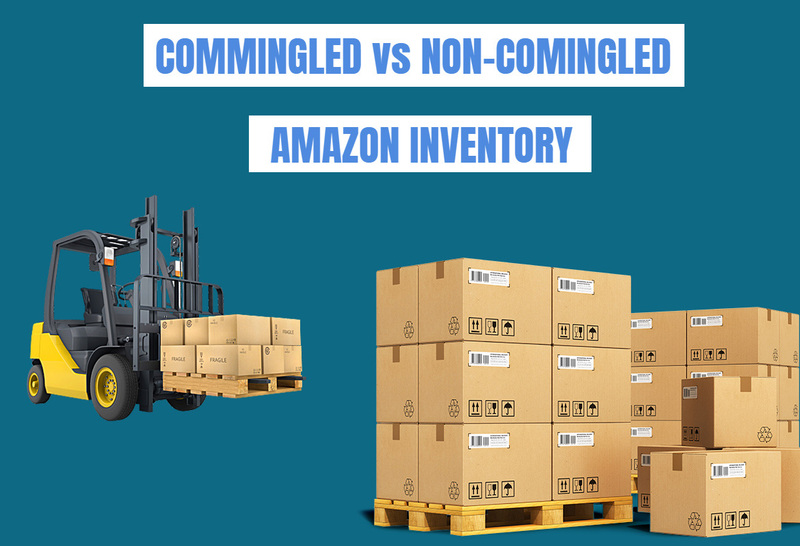 Is Non-commingled FBA Inventory a Good Alternative to Commingling? As an experienced retailer, we know that most sellers would prefer not to commingle their inventory. However, this variant, which seems to be preferable at first glance, is not always the best practice. Non-commingled FBA inventory proves to be a good alternative to commingling when the goods you sell are highly predisposed to fraud. It is also a good option if you are confident of your fulfillment capabilities and the cost-effectiveness of your inventory. Otherwise, the time and money saved by going stickerless is a strong incentive for commingling. Commingling can also grease the wheels for getting orders fulfilled lightning fast, which Amazon and its customers really love.